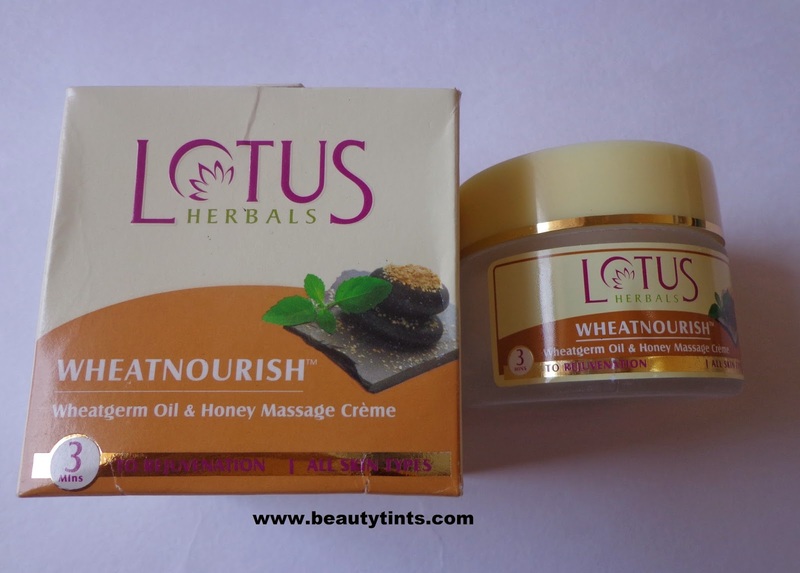 I am reviewing Lotus Herbals Wheat Nourish Wheatgerm Oil & Honey Massage Creme today.It is basically a massage cream,which has to be massaged on face for 3 minutes to get the desired result. Packaging : It comes in a heavy glass jar with an outer carton. 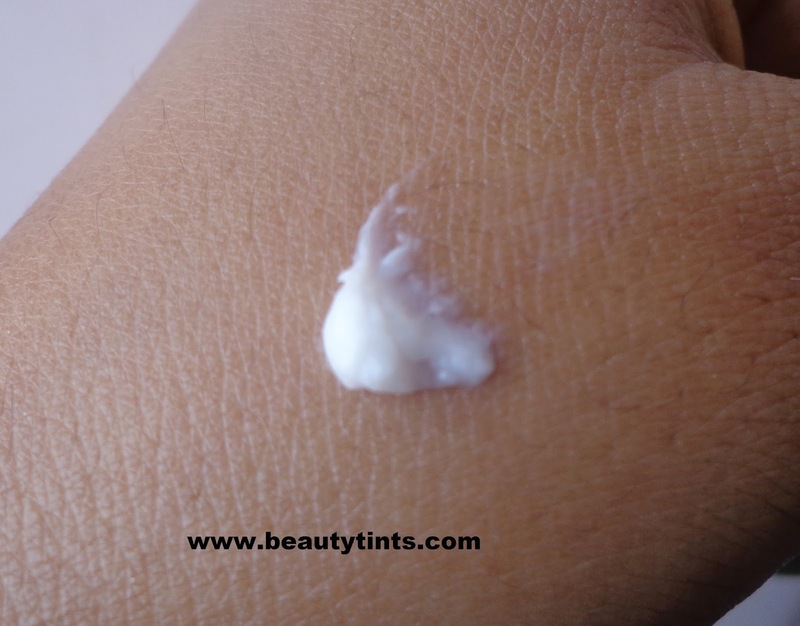 Color and Texture : This is a white colored thick and soft cream. 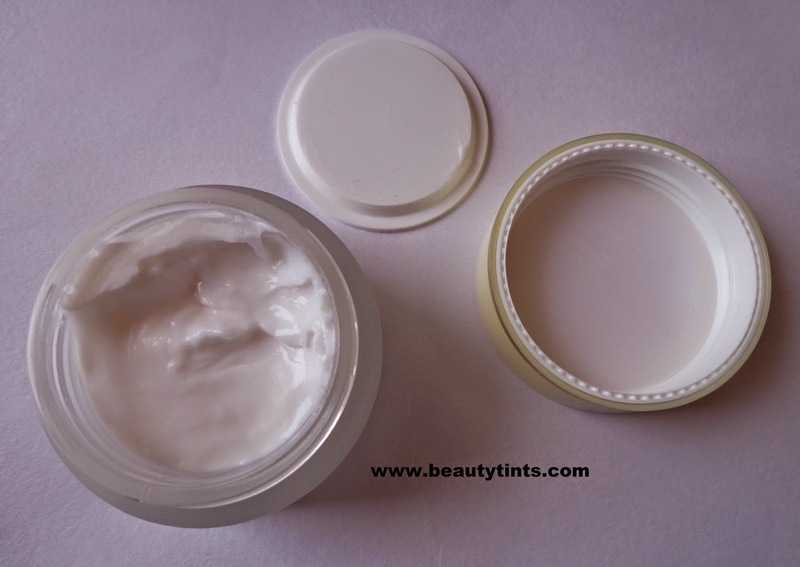 What the product Claims :An excellent massage cream that provides total nourishment to skin. 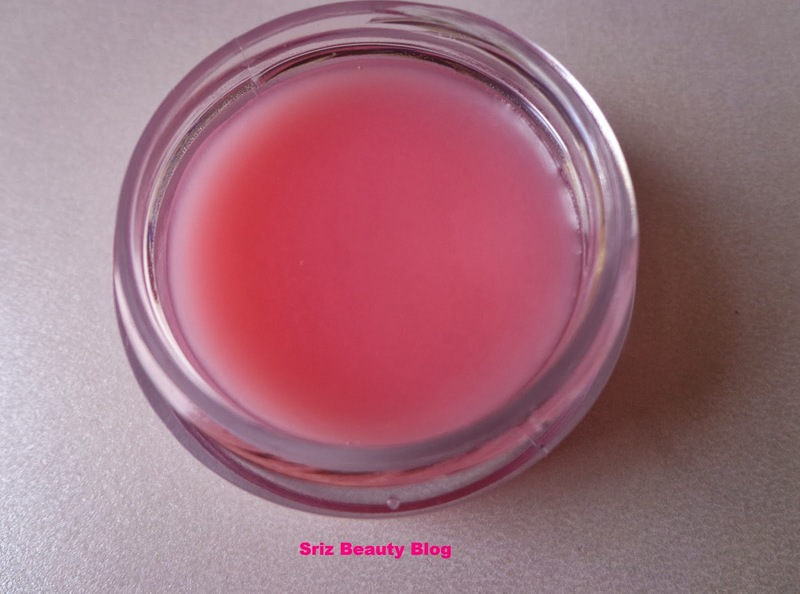 Regular use brings out a radiant glow.Suitable for women below 30 years. Availability : Available in many online shopping sites.You can buy it from here and here. 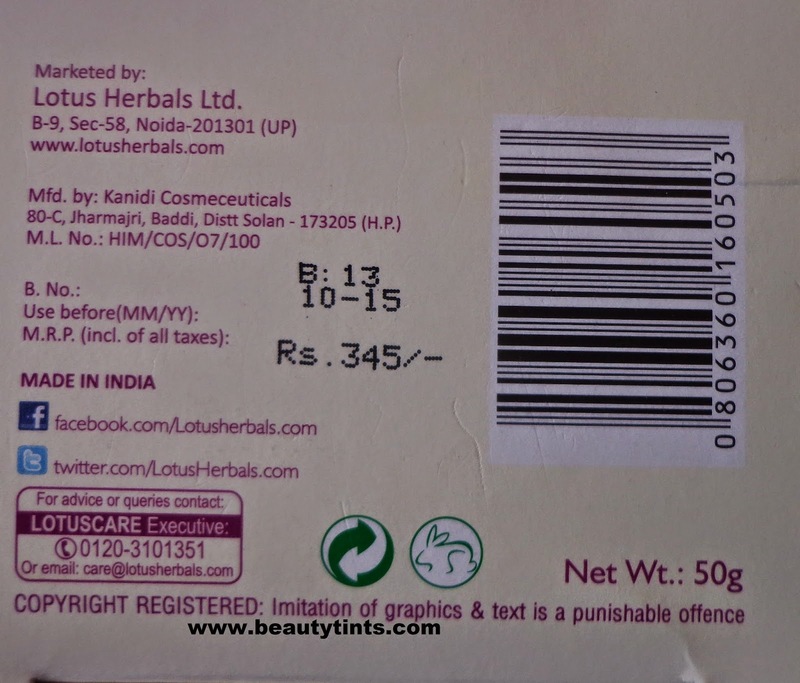 1)Tulsi Extract- Natural astringent & antiseptic. 2) Wheat germ oil- Rich source of Vitamin E, Antioxidant & skin nourisher. 3) Almond Oil- Excellent emollent & skin nourishing properties. Natural source of Vitamin E.
Directions for Use : Wash face with lukewarm water. Apply the creme all over face and neck. Moisten hands with cold water and gently massage for 5 minutes using upward and outward strokes. Leave on for 10-15 minutes and remove with damp cotton. 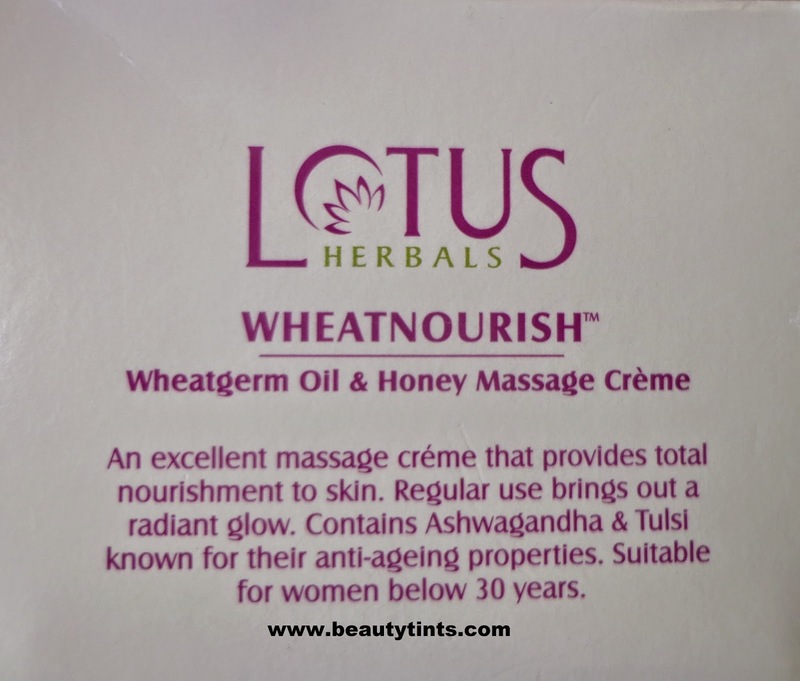 My Views On the Product : I have used it for 5-7 times now and I use it once in 10 days.It is a massage cream with the goodness of Wheat germ oil,Honey,Ashwagandha and Tulsi.This is a rich cream and it has a mild almond fragrance.I use it after cleansing and scrubbing my face and massage it on my face for 10-12 mins using wet hands and then rinse,follow up with a mask.It makes skin smooth and supple.On the pack it is mentioned that this cream suits All skin types but it did not suit for my combination skin.After using this cream,my skin turns super oily and heavy.It might suit dry skin well but not oily and combination skin.It did not show any visible result till now and I am dis-continuing it as it broke me out when I used it last week.It is loaded with lots of chemicals, which is one more reason for me to dis-continue.I may use it on my Hands or Legs. 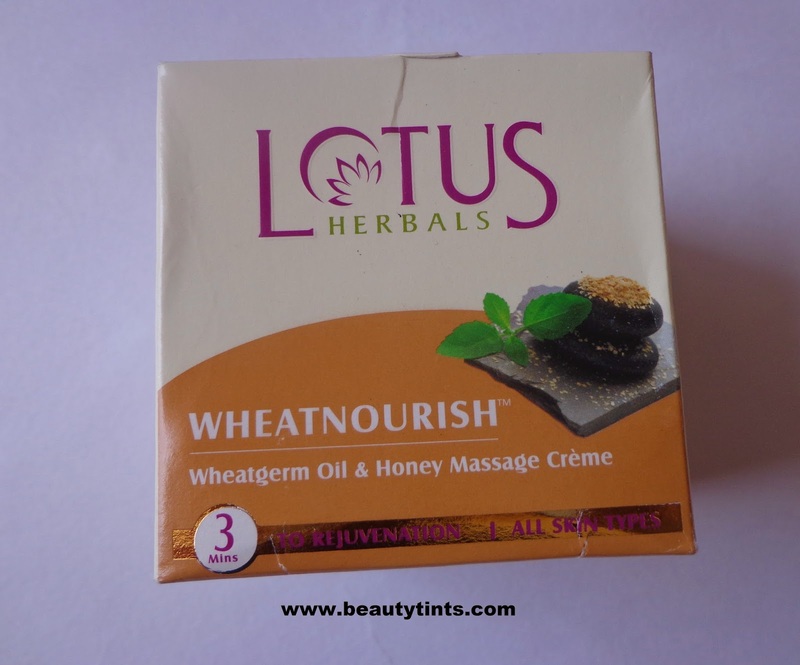 Final Conclusion about Lotus Herbals Wheat Nourish Wheatgerm Oil & Honey Massage Creme : People with dry skin may like it, but it is definitely not for oily-combination skin.